Helms, Jesse Alexander, Jr. legal definition of Helms, Jesse Alexander, Jr. The career of Jesse Alexander Helms Jr. is unique in post-World War II U.S. politics. Few legislators have fought as relentlessly, caused as much uproar, or arguably, had as much influence as the ultraconservative Republican from North Carolina. As a fiery radio editorialist in the 1960s, Helms waged a one-man war on liberalism. His notoriety helped him win an historic 1972 Senate race, a breakthrough in a state that had not elected a Republican in the twentieth century, and three reelections followed. He emerged not only as a party leader but as an independent legislator with his own tough agenda on social issues and foreign policy. Born October 18, 1921, in the small segregated town of Monroe, North Carolina, Helms was named for his formidable father. Jesse Helms Sr. was the town's police and fire chief, and he exacted obedience from Monroe and his two sons alike. "My father was a six-foot, two-hundred pound gorilla," Helms affectionately said. "When he said, 'Smile,' I smiled." His mother, Ethel Mae Helms, marshaled her family off to the First Baptist Church twice a week. In Helms's childhood, Monroe still romantically celebrated Confederate Memorial Day, and patriotism, regional pride, religion, and racial separation were formative influences on the boy. He showed early promise in writing, by high school already reporting for the local newspaper. Journalism held such interest for Helms that he quit Wake Forest College in 1939 to work on the Raleigh News and Observer. The 20-year-old moved up rapidly. By 1941, he was assistant city editor of the Raleigh Times, the city's smaller, more conservative paper. Then Pearl Harbor intervened. Accepted by the U.S. Navy for limited duty in recruitment and public speaking, Helms made a crucial discovery: he was good at broadcasting. Starting in 1948, he began a new career as a radio news director at station WRAL in Raleigh. Helms soon moved from the role of political observer to that of political insider. His reporting in the vicious, racially divided 1950 Democratic primary race for the Senate led to accusations that he had doctored a photo of the wife of the loser, Frank Graham, so that she appeared to be dancing with a black man—a fatal blow to the candidate's chances in the segregated state. Helms denied it. 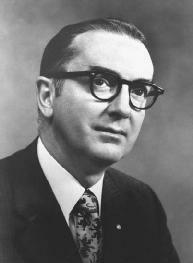 The winner, Senator Willis Smith, took him to Washington as his administrative assistant in 1951. Working in the Senate propelled Helms closer to a political career. From 1953 to 1960, Helms was a lobbyist and editorialist for the North Carolina Bankers Association. He had an opportunity to exercise his politics in a weekly column and at the same time held his first elective office, on the Raleigh City Council, where, although nominally a Democrat, he opposed virtually all taxes. The great turning point in Helms's life came in 1960. As the executive vice president of the Capital Broadcasting Company, he began broadcasting fierce radio editorials on radio station WRAL. Here, for the next 12 years, he developed views that would last the rest of his life. These broadcasts were fire and brimstone. In much the same way that radio host Rush Limbaugh criticized liberals in the 1990s, Helms attacked liberal trends in the 1960s. He referred to the 1960s as "this time of the fast buck and the 'New Morality'—the age of apathy and indifference, the season of disdain for simple virtues and common honesty." What riled Helms most was the Civil Rights Movement. Carried across the state of North Carolina, Helms's attacks on desegregation were reprinted in newspapers under such titles as "Nation Needs to Know of Red Involvement in Race Agitation!" The liberal media were to blame, Helms reasoned, and if they would stop distorting the truth, then "there would be millions around the world who would change their minds about race relations in the South." Despite his own biases, Helms and WRAL survived repeated complaints to the Federal Communications Commission. It was only a matter of time before the conservative Helms gave up on the Democratic Party. In 1972, he switched parties and ran for the U.S. Senate as a Republican. Helms liked to tell his radio listeners that he had never voted for a Democrat for president, and now, with the decidedly liberal George S. McGovern as the Democratic nominee, he had even more reason to sever his symbolic ties to the party. McGovern stood for everything that Helms detested: support for Welfare and Abortion, and opposition to the war in Vietnam. To Helms, such views were typical of the way liberalism betrayed traditional values, and why he could not remain a Democrat. When Helms jumped ship, he took an extreme gamble. North Carolina—indeed, the South as a whole—had been the Democratic Party's stronghold for generations. In fact, not since the late nineteenth century had the state elected a Republican senator. Helms changed everything. One key to his beating the favorite, Democrat Nick Galifianakis (by only 120,000 votes), was Helms's use of national politics. The presidential election offered excellent coattails upon which to ride. Helms allied himself with Republican candidate richard m. nixon, linking Galifianakis with the highly unpopular McGovern. Galifianakis saw a much different, and worse, kind of tarring at work. He accused the Helms campaign of using his Greek– American ethnicity to imply that he was not a loyal U.S. citizen. Not surprisingly, Helms's first term in Washington, D.C., established the same hard-line politics of his broadcasting career. He was soon nicknamed Senator No for voting against federal spending—with the exception of support for the military and farmers. He opposed federal aid to education, food stamps for striking workers, government-subsidized abortion, and the creation of the Consumer Protection Agency. Returning politics to traditional values would be the hallmark of his career, a philosophy outlined in his 1976 book, When Free Men Shall Stand. During his first term in the U.S. Senate, he introduced an amendment designed to circumvent the Supreme Court's decisions banning prayer in public schools. Although the effort failed, it paid personal dividends: Helms came to the attention of conservative organizations and contributors who would be increasingly supportive of him over the next two decades. He saw no conflict with his faith in opposing government aid to the needy. He believed it was the role of the private individual to help others, as he and his wife, Dorothy Helms, had done by adopting a nine-year-old orphan with cerebral palsy. In Congress he voted against federal aid to disabled people and against school lunch programs. Unlike some social conservatives, Helms had an equal passion for foreign policy. He was staunchly anti-communist, a belief that formed the basis for his opposition to any cooperation between the United States and left-wing governments. He opposed President Nixon's historic opening of ties to China. Supporting right-wing governments—even those associated with abuses of Human Rights, such as Turkey, or with all-white rule, such as Rhodesia and South Africa—made more sense to him. Helms gained influence as his career progressed. By the late 1970s, he was already shaping the Republican presidential platform behind the scenes. In Senate votes, he could openly defy the party on nominations and policy decisions. Helms had little fear of the party leadership because he was building a national base of support. He did this with the help of a powerful insider in national politics, Richard A. Viguerie, publisher of the Conservative Digest. Viguerie was an early advocate of using direct-mail techniques, a marketing tool borrowed from business. As campaign manager for Helms in 1978, he blanketed the United States with letters asking for support. It worked, fantastically. Helms raised $6.2 million for his successful 1978 reelection, two-thirds of it from outside of North Carolina. Politicians of all kinds soon followed his lead in using this powerful technology. In the 1980s, the importance of direct mail to Helms grew in proportion to the rise of conservative Christian politics. Analysts called this emerging constituency the New Right. It favored mandating school prayer, outlawing abortion, and preventing gays and lesbians from acquiring equal rights. Helms tapped its members with dramatic fund-raising letters. By 1982, Helms could count on great support for brash, independent actions in the Senate: filibustering against the renewal of the voting rights act, for example, or attaching a school prayer amendment to the annual extension of the national debt. The 1980s was a period of great activity for Helms in domestic policy. He railed against the National Endowment for the Arts (NEA) for funding art that he found offensive, chiefly that of the gay photographer Robert Mapplethorpe and of the artist Andres Serrano, whose work Piss Christ depicted a crucifix submerged in urine. The national controversy he engendered continued to divide liberals and conservatives well into the 1990s. He also led a highly publicized attempt to take over CBS, exhorting conservatives to buy up stock in order to end liberal bias in news reporting. He introduced antiabortion legislation that made him the leading enemy of pro-abortion forces, which began demonizing Helms in their own direct-mail campaigns. He was most successful in agriculture policy. Helms won continued backing for tobacco price supports, an issue key to one of his most active advocates, the tobacco industry. In a combative 1990 reelection campaign, Helms nearly lost to African American Harvey Gantt. The former Democratic mayor of Charlotte was ahead of Helms until the last weeks of the campaign, when Helms's forces mailed 125,000 postcards to voters warning them that they could be prosecuted for Fraud if they voted improperly. At least 44,000 cards were sent to black voters, according to the U.S. Department of Justice, which sent observers to the state to ensure fair elections. Helms edged out Gantt by just over 100,000 votes. In 1992, the Justice Department ruled that the Helms campaign had violated federal Civil Rights and voting laws by intimidating, threatening, and discouraging African Americans from voting. Helms's office denied that he was involved in the mailings. Helms was an outspoken critic of President bill clinton. The Republican takeover of Congress in November 1994 gave him chairmanship of the Foreign Relations Committee, a powerful post from which he could authorize money for foreign aid, make recommendations on ambassadors and foreign treaties, and control the budget of the State Department. Almost immediately, he blasted the president as unfit to conduct foreign policy and warned that Clinton "better have a bodyguard" if he planned to visit North Carolina military bases. Politicians from both parties denounced the remark, which came on the anniversary of the assassination of President john f. kennedy. Helms called his statement a "mistake," but refused to apologize. "We are living in an age where anything goes." Despite surgery for serious health problems, Helms seemed eager to enter more battles. He was reelected to another term in 1996, again defeating Harvey Gantt. He served on the Foreign Relations Committee until 2001. During his tenure as chair, the committee approved 143 treatises (although some were later rejected or returned to the president), confirmed 477 presidential nominations for ambassadorships and other administrative posts, and conducted 597 hearings.In 2001, after serving on the Senate for 30 years, Helms announced that he would not seek reelection in the 2002 elections. He continued, however, to spark controversy even in the final year of his term as senator. He allegedly made some racially charged comments to the press, not dissimilar to those made by Senator trent lott at the birthday celebration of Senator strom thurmond. (These comments eventually cost Lott his position as Senate majority leader). Helms also openly criticized the lifestyles of homosexuals. Nevertheless, many conservatives celebrated his numerous accomplishments prior to his retirement in 2003. And no one could deny the indelible imprint he left on U.S. politics. Helms supported Elizabeth Dole, wife of former Senator bob dole, as his successor in the 2002 senatorial election in North Carolina. Dole won a heated race in the nation's most expensive congressional campaign. Helms married the former Dorothy Jane Coble in 1942. They are the parents of three children and the grandparents of seven grandchildren. They are also longtime cerebral palsy advocates, and are actively involved with the Jesse Helms Center in Wingate, North Carolina. The nonprofit center promotes free enterprise, representative democracy, and traditional values. Furgurson, Ernest B. 1996. Hard Right: The Rise of Jesse Helms. New York: Norton. The Jesse Helms Center. Available online at <www.jessehelmscenter.org> (accessed July 7, 2003). Snider, William D. 1985. Helms & Hunt: The North Carolina Senate Race, 1984. Chapel Hill, N.C.: Univ. of North Carolina Press. Wagner, John. 2003. "Helms Looks Back." The News & Observer (January 3). Election Campaign Financing; Republican Party.